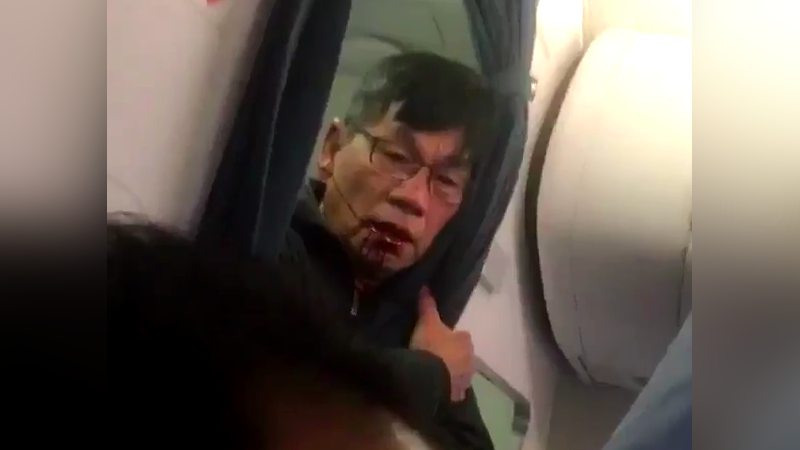 Passenger Audra Bridges, who uploaded an earlier video of the incident to Facebook, told The Courier-Journal that United initially offered customers $400 and a hotel room if they offered to take a flight the next day at 3pm. Nobody chose to give up the seat that they paid for, so United upped the ante to $800 after passengers boarded, announcing that the flight would not leave until four stand-by United employees had seats. After there were still no takers, a manager allegedly told passengers that a computer would select four passengers to be kicked off the flight.